For the lady who has limited motion, these very attractive sweaters are made just for you. These back open, pocket cardigans are a snap to put on. 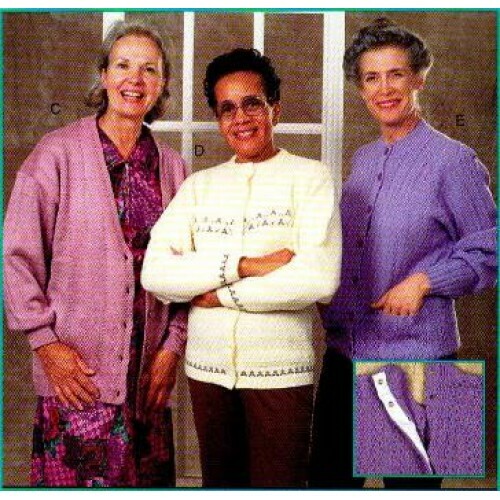 Available in a wide assortment of knits and colors. 100% Acrylic.